Maximizing value for patients is at the heart of the healthcare industry shift toward value-based care and pay-for-performance. Engaged patients maintain a closer attachment to their care teams, and experience greater value in their care. This leads to patient empowerment, greater satisfaction, and an overall improved experience. As a result, providers are desperately trying to increase the levels of patient engagement during their care journey, as they work to achieve the best possible outcomes with the most effective use of resources. A key part of improving patient experience is moving from provider-centric push communications to two-way engagement with patients prior to appointments. This increases the likelihood patients will attend their appointment, are well prepared, and that the provider has the most up to date information before they arrive. Further enhancements in patient-provider dialogue are also being undertaken after a procedure or during the long-term management of chronic diseases such as diabetes, to extend engagement outside the 4 walls of the clinic. The benefits of enhanced patient engagement are already being realized in many ways including: reduced no-shows for appointments; fast track to surgery for low-risk patients, reduced re-admission rates and fewer interventions in chronic care. Sending reminders and updates to appointments helps healthcare providers to keep in touch with patients. Next generation appointment reminders move beyond the realm of admin-heavy antiquated file uploads to fully automated and orchestrated campaigns, integrating with EHR and scheduling systems. With multi-lingual interactive messages sent by SMS, email or voice call, providers have dramatically reduced no-show rates and late cancellations. Different reminders types can be selected from a library and sent automatically at various intervals before an appointment or as part of a campaign, such as: fasting prompt; appointment delayed notifications and annual flu shot calls. With these triggers, the patient is encouraged to take more control of their health and progression along the care journey. Providers are trying to get to know more about patients and their preferences by using forms as part of the dialogue with them. This can be prior to healthcare appointments, before surgery, or after surgery; gathering information such as personal preferences, home life, symptoms, level of recovery. Physician decision forms can be used as part of triage and health risk assessments, whilst forms can also be used after appointments and procedures for follow up reviews, surveys and to gauge patient satisfaction. E-forms/online forms are driving consistency and efficiency in communication, in turn improving the level of automation and the associated effectiveness delivered. Using enhanced engagement with a patient to build a picture of their individual clinical and personal needs enables the healthcare provider to assign the appropriate level of testing, reviews and monitoring both before and after procedures take place. Screening patients enables the level of risk associated with each to be identified and the necessary interaction with healthcare professionals established. Those of higher risk can be assigned more focussed intervention and greater assessment or coaching whereas those of lower risk can be fast-tracked through alternative routes of care. With increasing risk-based payments and incentives to deliver longitudinal care plans, greater emphasis is now being placed on the active monitoring of progress and outcomes long after a patient has been discharged. Post-acute personal goal tracking is a key way of enhancing patient engagement. As well as follow up phone calls and pain scale forms, a patient can report against agreed outcome measures such as level of flexibility after a complex joint replacement. Action can be taken based on the responses, such as escalation of the patient’s results to a care team expert for a phone call to offer advice, a visit to the patient’s property or to schedule an appointment. Such 2-way interactions improve the quality of outcomes to the extent of avoiding costly readmissions. Long-term underlying condition or chronic disease management demands rich and ongoing engagement with patients. Periodic recalls for health reviews and check-ups can be complemented with additional coaching, to encourage the patient to take more control of their ongoing health. Supporting patients through weight reduction or smoking cessation programs, as part of diabetes management, for example, will undoubtedly drive greater engagement and better results. This could take the form of sharing educational literature, sending updates or reminders and supportive messages. It is clear that the patient engagement space is going through a shift. 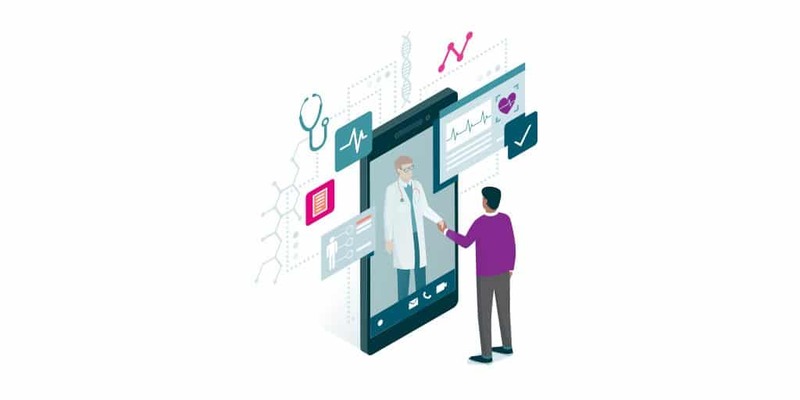 Providers increasing have technology at their fingertips to increase communications and engagement with their patients. The next question as a provider is, once you have increased engagement with your patient population, how do you manage the demand on stretched resources that creates?